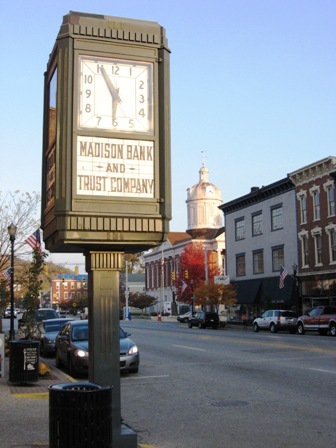 We had a nice Saturday afternoon trip down to Madison, Indiana for some fudge and burgers. Due to some time constraints, we had to jump on the interstate heading down, but got off onto US 31 in Columbus and took IN-7 into Madison. Due to the fact the Madison Fudge Factory closed at 5pm, we had less than a half hour to get in and get our fix of sugary goodness. 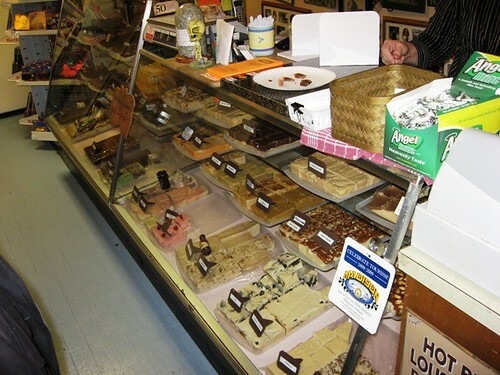 The Factory’s HIGHLY recommended by us, as we’ve tried all the fudge shops in Madison….but we still buy from all of them anyway! 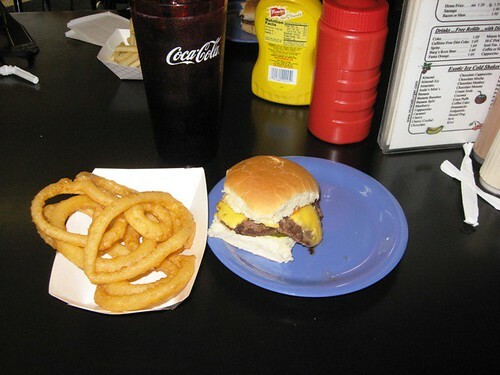 Next up was dinner at Hinkle’s Hamburgers on Main Street, an institution in Madison dating back to 1933. We were taken aback when our order arrived and the burgers were rather on the smallish side, but that did not deter from the quality of the meal. We’ll just know to order TWO each next time, as their prices are more than reasonable. They were maybe a tick larger than a White Castle burger, but without the side effects. After our grub at Hinkle’s, we strolled to the east end of Main at US 421, then crossed over to the south side of Main and walked it back to the west end of Main. 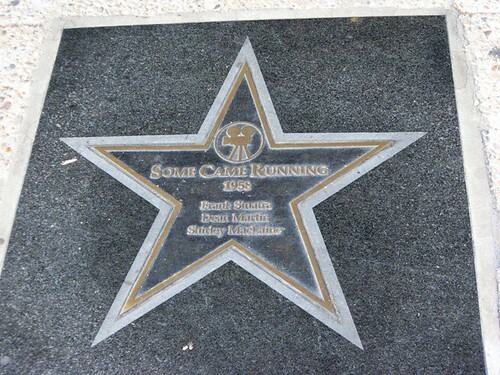 We took a lot of photos so we can, sometime in the future, compare them to some scenes in the 1958 film “Some Came Running”, with Frank Sinatra & Dean Martin, which was filmed in Madison. 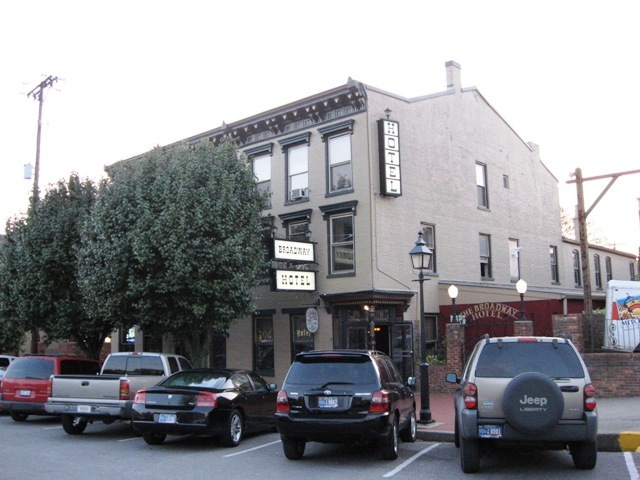 We ended up back at the car near the Broadway Hotel, built in 1834. The lady behind the front desk was kind enough to give us a key so we could look at the only vacant room of the ten they have, and it was like stepping back in time. 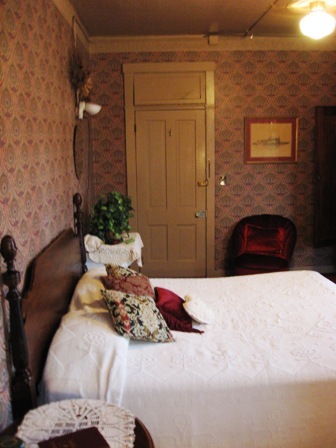 It definitely had an 1800’s feel to it….all for $109/night on weekends & $85/night throughout the week. 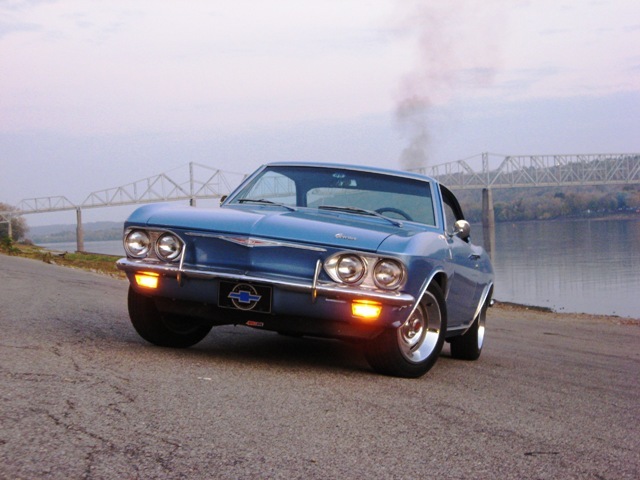 From there, we loaded in the car and made our way towards the Ohio River for a couple of photos before making the 100 mile journey back home on US 421. The rest of my pics can be found on my flickr site, and Jennifer’s can be found here on her site.